A concern that often raises its head above others is when parents, step-parents and de facto partners don’t make the needs of their own children, and the children in the new relationship, a priority. The resulting emotional and physical neglect impacts severely on the child’s ability to build a true sense of identity. With the high incidence of separation and engagement in new relationships, the new partners often make each other and their new relationship a priority rather than prioritising the needs of the children. Often the complexity of the changing relationships and roles results in emotional confusion for the children involved and these internal conflicts often manifest as behavioural issues. A new partner competing with the children for attention. Conflict with former partners because of engagement in a new relationship. Children being used by both the separated parties and the new partner as a way to manipulate each other. An ongoing conflict between the separated parents where the children are used as an excuse to punish each other. One parent using any excuse to make the other party’s parenting style appear wrong whilst looking to gain a custodial advantage over that parent. 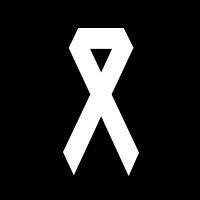 Safety: Both a physical and emotional. Learning support: To build the ability to engage in learning. Trusting relationships: Love and connection that is emotionally safe. Predictability: Patterns and routines that are stable and predictable where transitions are well managed. Each child is a unique and valuable developing human being. You teach them their worth in the mirror of your relationship with them. They deserve the best. This entry was posted in Uncategorized on September 28, 2016 by Tracey O’Driscoll. 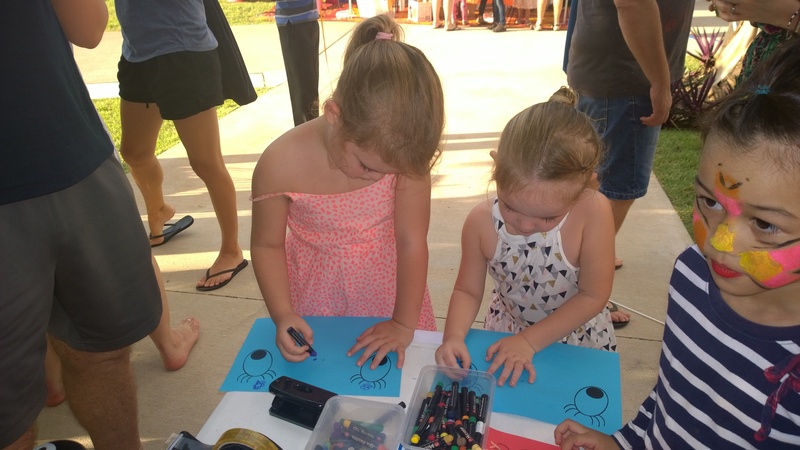 A mediation service designed to assist families going through separation has marked ten years in the Northern Territory. 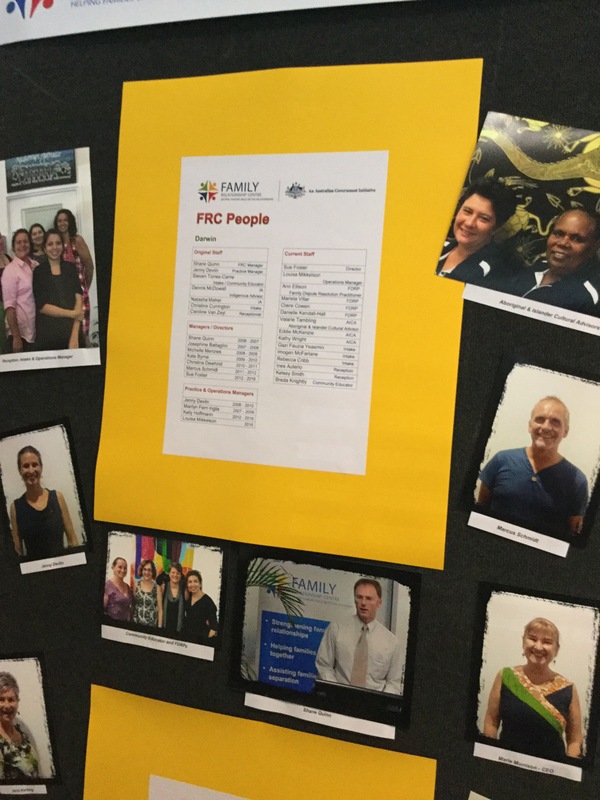 Set up as one of the first fifteen Family Relationship Centres in Australia, the Darwin-based service has been run by Relationships Australia NT since it was established by the Australian Government following changes in the Family Law Act in 2006. These changes meant that from July 2007 onwards, family dispute resolution was compulsory in all suitable cases prior to applying to the courts for orders. 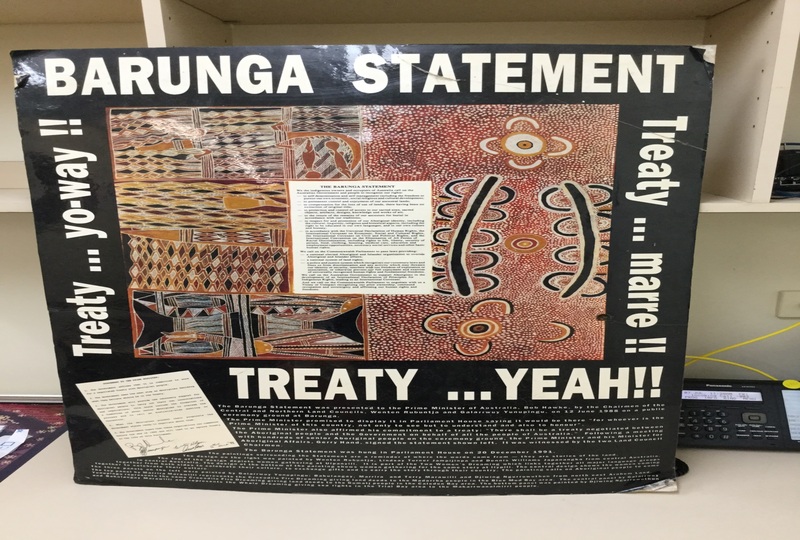 The development of engagement with Aboriginal and Torres Strait Islander clients has been extremely important and Northern Territory staff have lead the way with research and modelling for best practice in mediation with Aboriginal families. 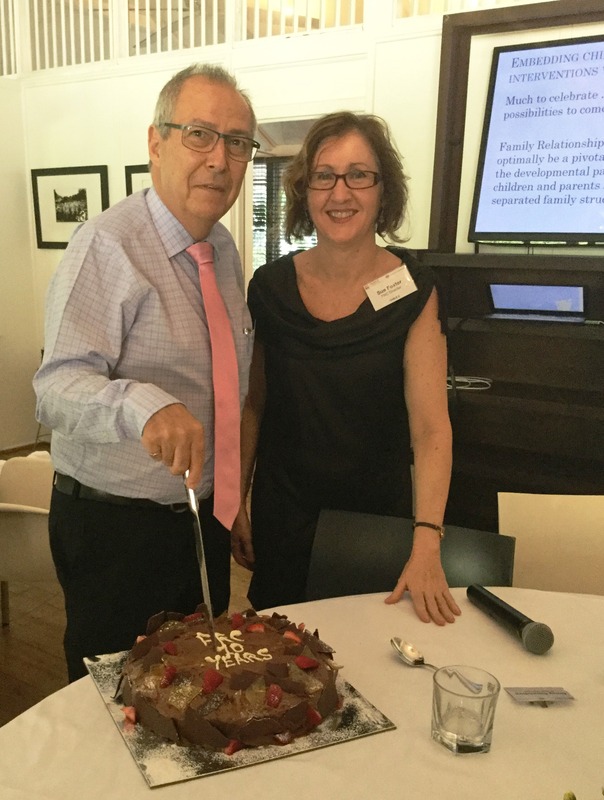 Relationships Australia marked the tenth anniversary of the Darwin Family Relationship centre with a special lunch on Monday 29th August, featuring guest presenter acclaimed clinical child psychologist, family therapist and research consultant Professor Jennifer McIntosh. Professor McIntosh outlined the latest research on divorce and its impact on children in her presentation ‘Children’s Outcomes in conflicted Family Separation and Pathways of Prevention: the Current Evidence’ This presentation outlined current research on the complex relationships between divorce and conflict exposures in childhood, and life-course outcomes, and emphasised the place for timely intervention in supporting parental focus and responsive co-parenting through child inclusive practice. 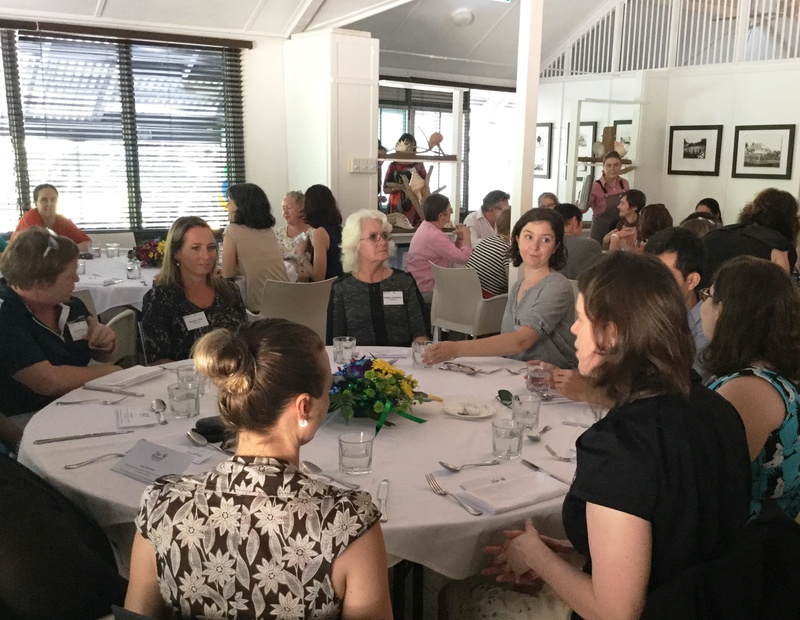 Professor McIntosh also held a one day Young Children in Divorce & Separation workshop with child-inclusive teams from Relationships Australia NT and Anglicare Resolve. 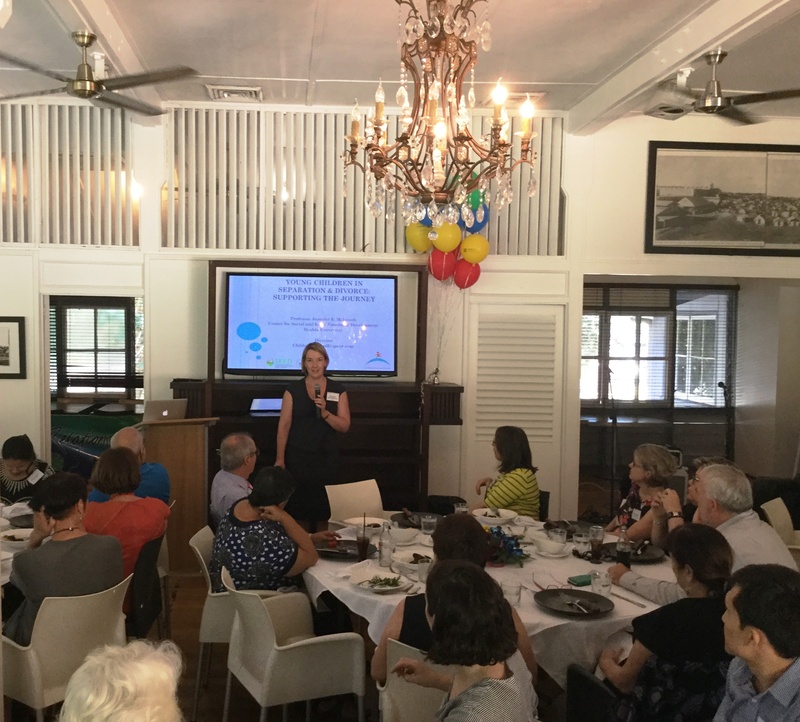 This program, developed by Professor McIntosh and Children Beyond Dispute, provides information about early development and targets the important developmental considerations for separated parents. 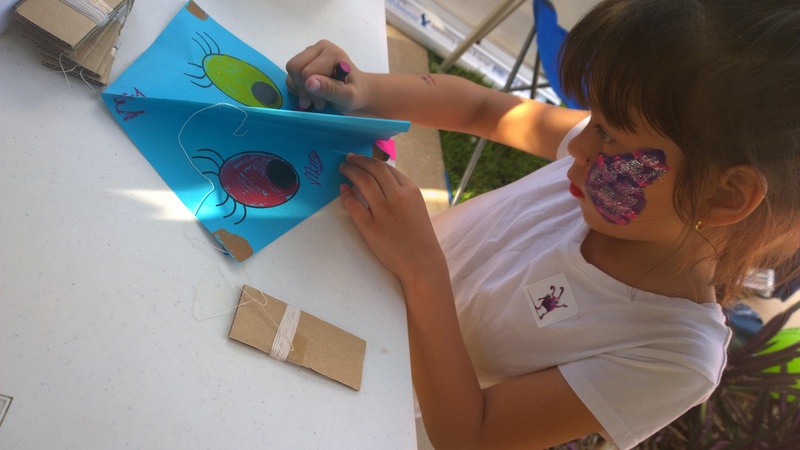 It also provides insights into the complexities for children of living in family conflict and separation, the range of challenges these children carry with them into the learning environment and opportunities for parents in accompanying the child through the separation journey. This entry was posted in Uncategorized on September 27, 2016 by Tracey O’Driscoll. Andrew Harkin is a clear thinking practitioner with decades of experience as a GP and psychotherapist in Ireland, Europe and America. He now works at a clinic in Western Australia. He is devoted to body centred practice, a bottom up collection of practices that can be used to complement existing top down therapies to support integration for clients who experience hyper or hypo arousal. Andrew is committed to helping clients learn more about their symptoms and use body work to help shift trauma. He works to help them expand their window of tolerance and increase the quality of their daily lived experience. 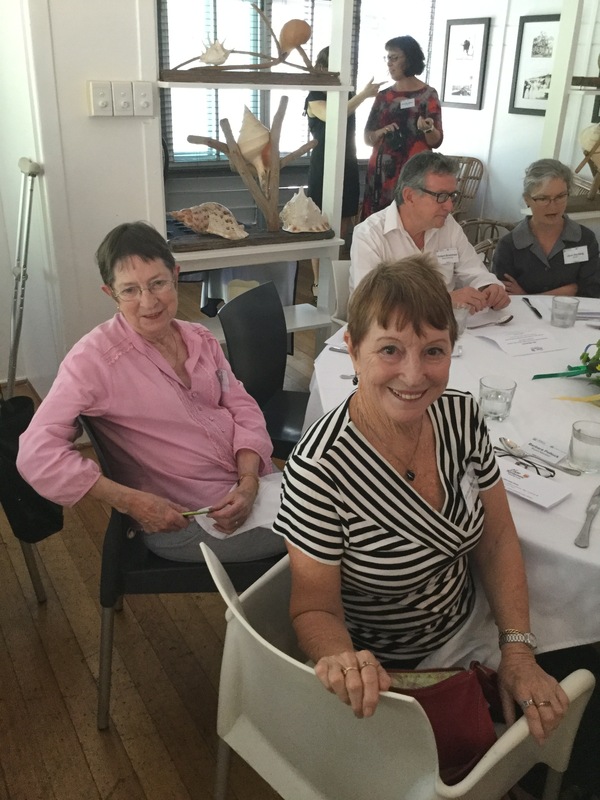 He presented a 3 day training Darwin in early March 2016 Working with Trauma – An Advanced Therapeutic Workshop for Counsellors. On the first day Andrew covered the theoretical frameworks, understandings on which we could then base some more practice centred ideas. He is a unique practitioner in that he has the education, experience, and knowledge to scientifically prove why and how previously thought ‘alternative’ therapies including tapping, meditation and mindfulness tangibly help clients. He skilfully lead us through exercises we could practice first for ourselves, then with our clients. As a body centred trauma practitioner, his focus is on symptoms and evidence. His favourite question is How do you know that? He then investigates further…What in your body tells you? Where exactly do you feel it? How does it feel? What would you describe it as? Pain, emptiness, pressure? Heavy or light? dark or bright? Round or square? Smooth or rough? In this way, he helps the client very specifically describe the sensation in the body where the trauma is being held. 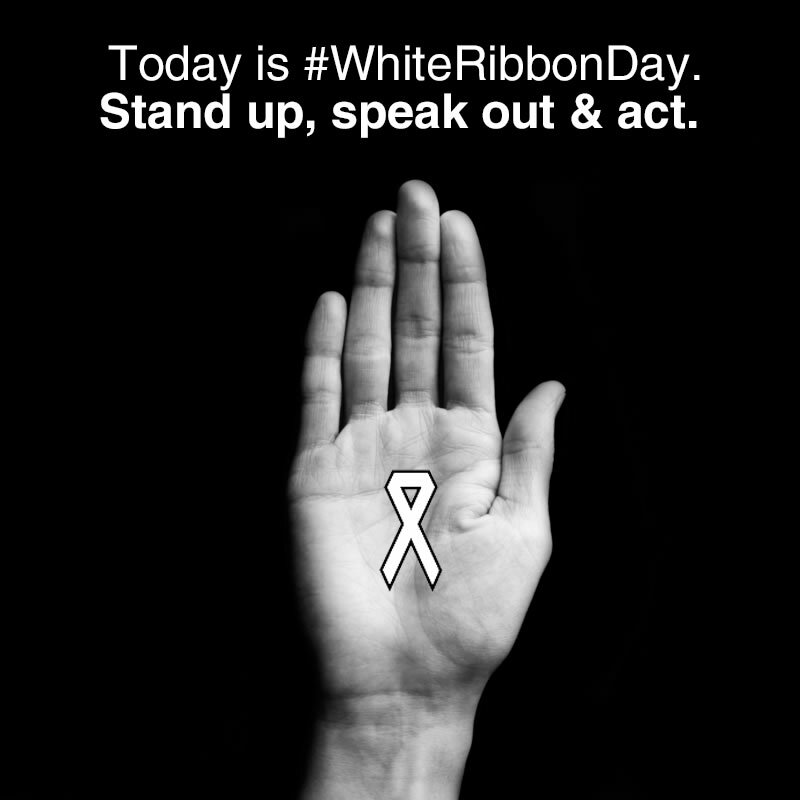 This awareness helps the body begin to know how to heal itself. The body work can help the client to start to integrate the traumatic experience without having to talk about the trauma itself. 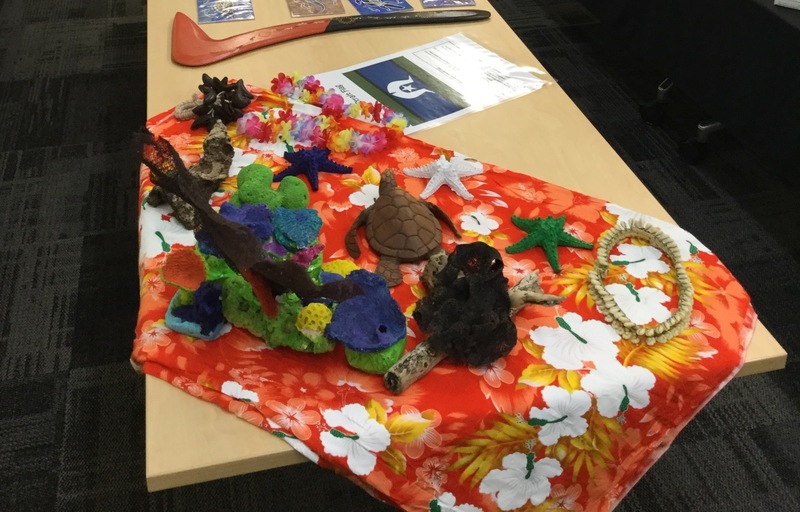 In addition to relevant theory, the training was full of practical tips and suggestions for ways to work with clients living with the effects of trauma. Clinical staff spoke of deep insights and a fresh understanding of the value of body work. Many expressed their enthusiasm for Andrew to come back to present phase 2 work for us. 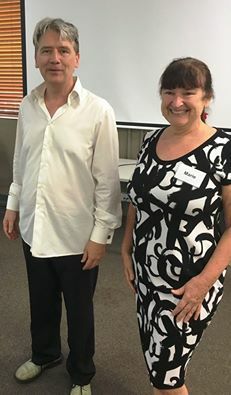 Bringing Andrew to Darwin to share his knowledge with us was a valuable exercise and we would recommend Andrew Harkin to any other Relationships Australia. This entry was posted in Uncategorized on September 26, 2016 by Tracey O’Driscoll. 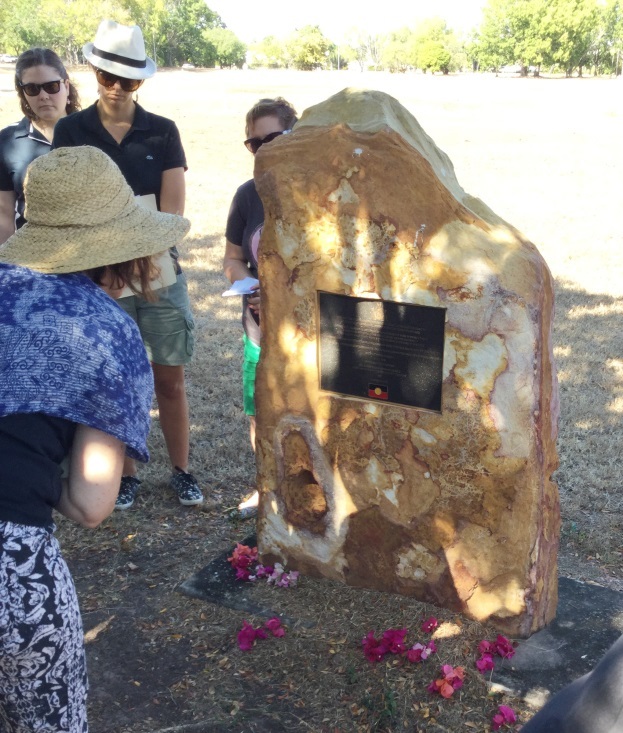 The Aboriginal and Islander Cultural Advisors (AICA’s) from RA NT lead the Darwin staff on a cultural tour of Darwin which included places of importance to the Larkaia People, the traditional owners of Darwin. 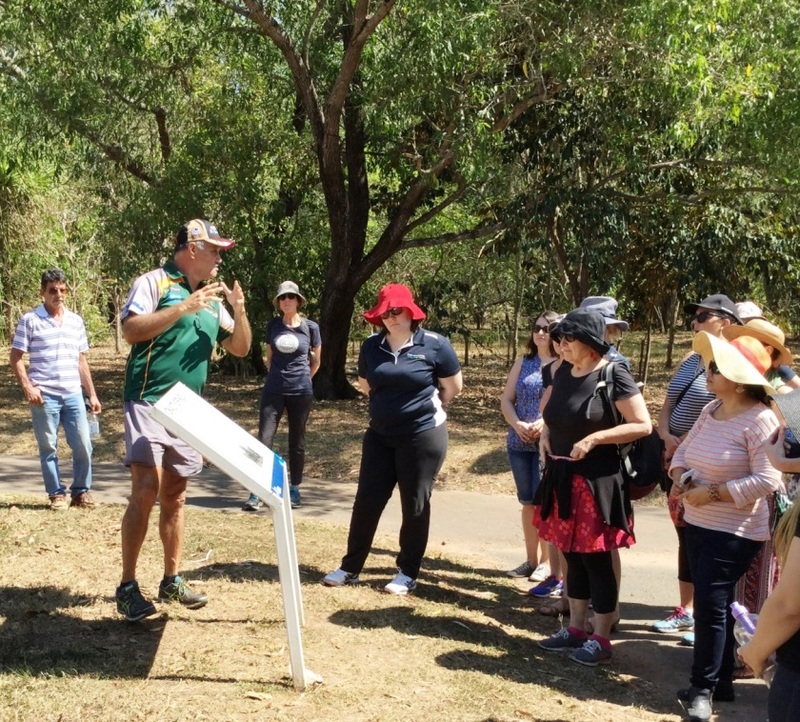 ’The aim of this tour was to educate non Aboriginal staff about the intergenerational trauma experienced by Aboriginal clients by taking them to see places like the old Kahlin compound & site of the Retta Dixon home. 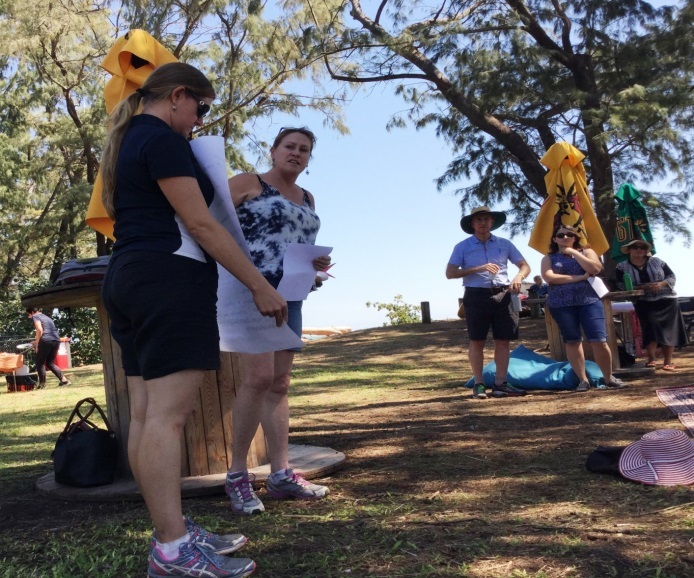 We wanted the staff to feel and see these places and to remember these stories – to give staff an understanding of how angry, sad and frustrated the residents would have felt – and to help staff engage with Aboriginal clients on a deeper level‘’ – Valarie Tambling, AICA. The second stop was Silas Roberts Hostel for Aboriginal people on Packard Street is named after a man who was highly respected by both cultures. 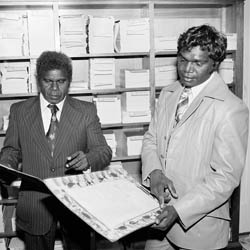 Silas was a missionary-educated man from Ngukurr who was the first Aboriginal person to be made Justice of the Peace, and Special Magistrate. 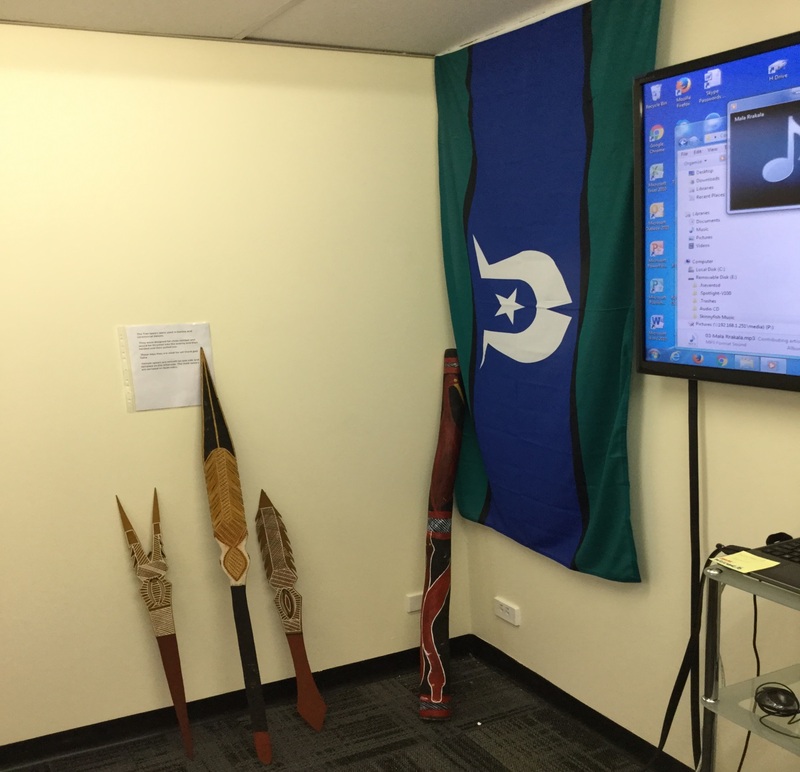 In 1974, He was awarded the Order of Australia Medal in recognition of his services to the welfare of Aboriginal people as well as being elected as the first Chairman of the Northern Land Council – which is the building we are currently working in, 43 Cavenagh Street! 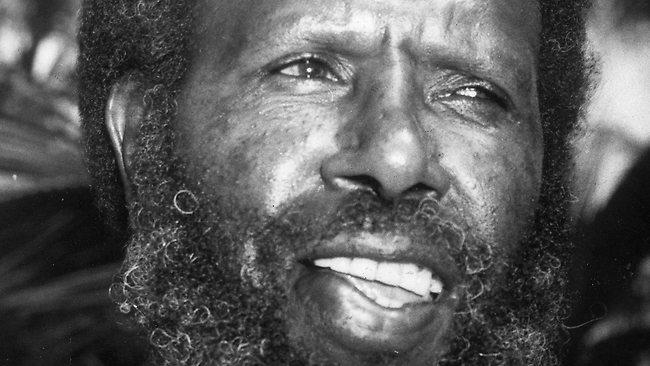 Silas was known for always putting up people in his house and giving support, guidance and cultural advice to them. We then visited the site of the Retta Dixon Home. In the 1930’s a missionary couple founded the Retta Dixon Home. 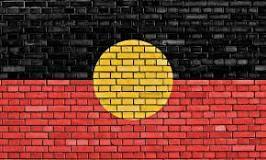 It was home to part-Aboriginal children, single mothers, and some adult women. 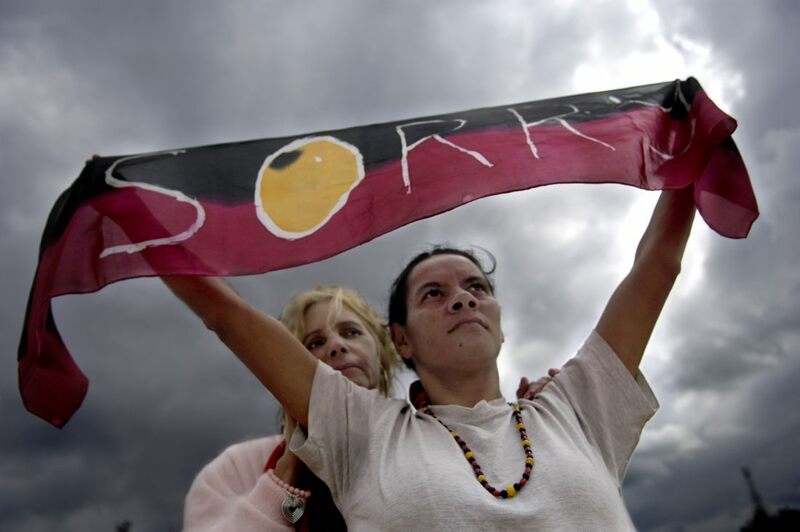 Many of the children there had been forcefully taken from their Aboriginal mothers. 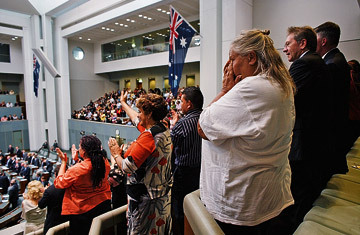 The government at the time had a policy of assimilation meaning that ‘’half-caste’’ children would learn to be white. 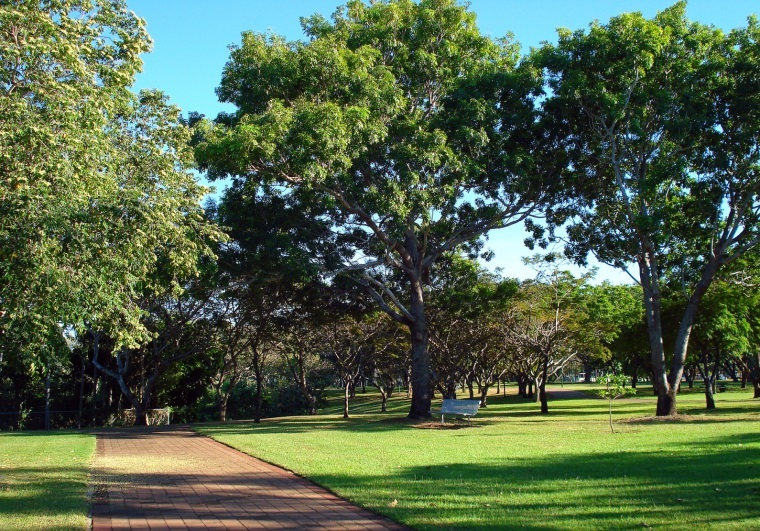 There has been a Royal Commission into the sexual and physical abuse which was carried out by the staff towards the residents of Retta Dixon. The next stop was the Gurrambai trail in Rapid Creek. Gurrambai is the Larkaia word for elbow, which is the shape of the creek’s mouth. It’s an important place for the Larakia people with two sacred Baynan trees as well as Old Man Rock who sits out at sea – just north of Rapid Creek. Larakia people believe that if Old Man Rock is disturbed it will cause a natural disaster. 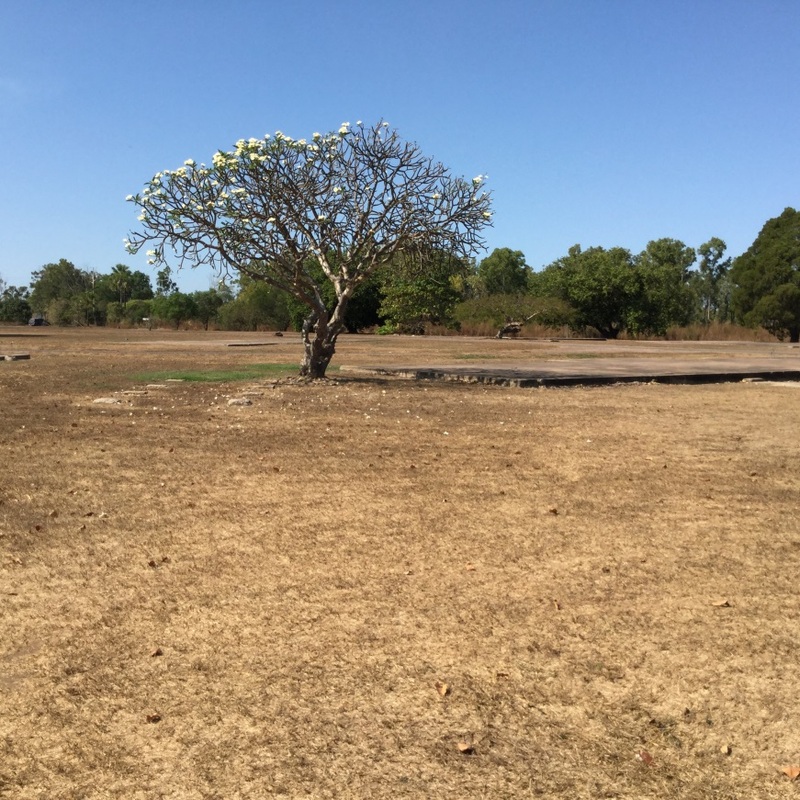 Eddie McKenzie (AICA) explained that Gurrambai has been a source of water for thousands of years and known as a good hunting and fishing area for Aboriginal people. In the late 1800’s the early missions used the creek for irrigation and since the arrival of Europeans in the 1930’s, it has been a popular spot for picnics and swimming. After lunch, the AICA’s had prepared a number of group activities for the staff to complete. 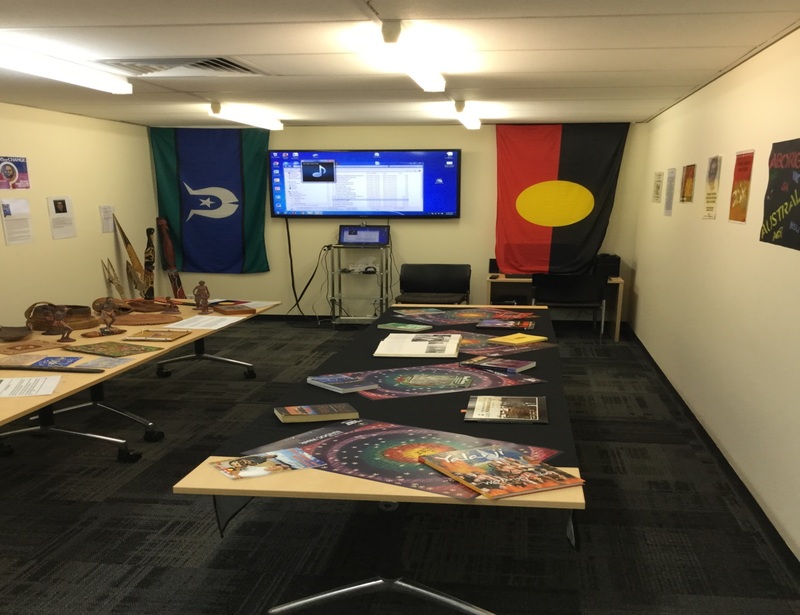 We designed these activities to see what information had been retained by the staff and how they could use it to better communicate and engage with Aboriginal clients. 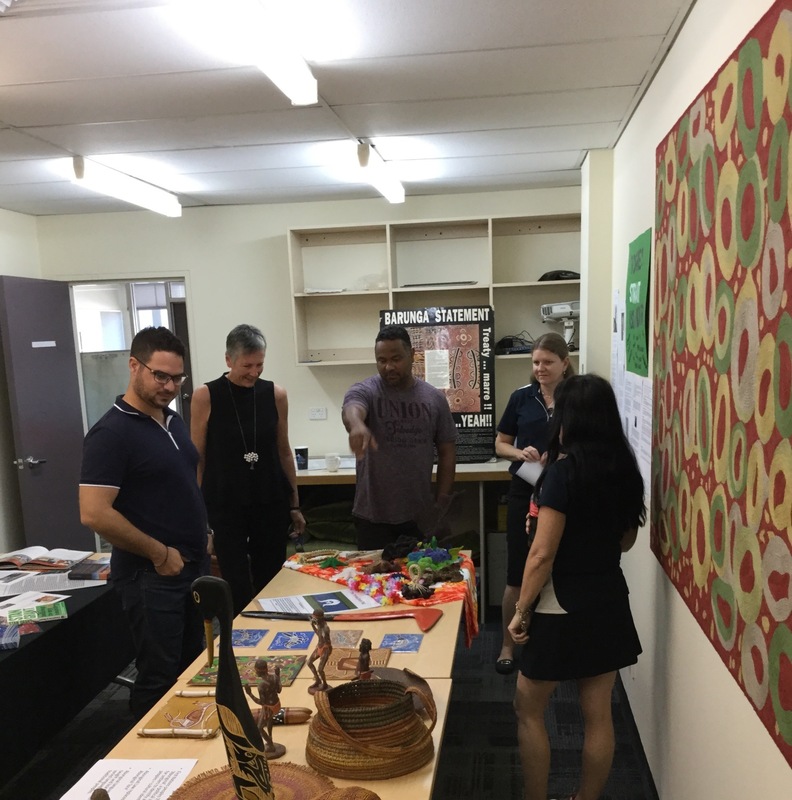 The staff were split up into groups and given a question to think about so for example ‘’What are some of the important things to be aware of when speaking with an Aboriginal client’’ The groups were asked to present their answers to the whole group at the end. That was the end of our tour. 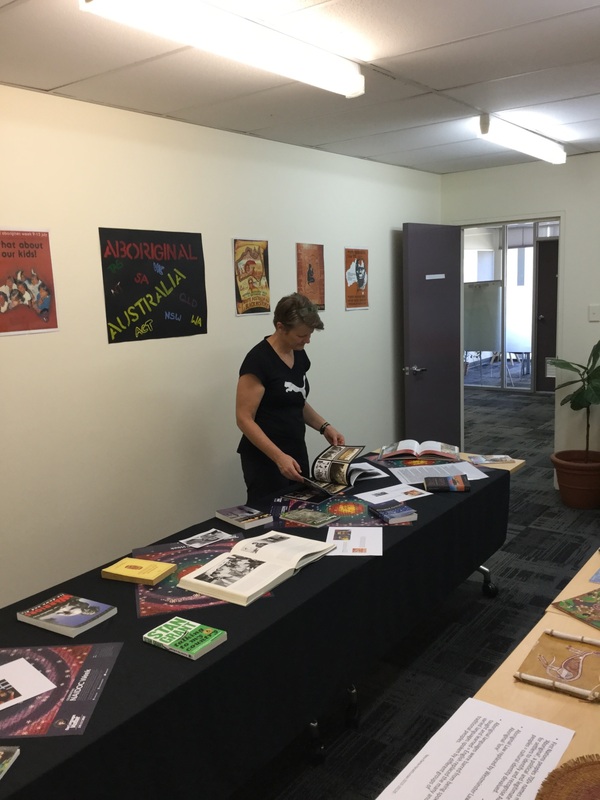 ‘’I had a wonderful day, I now know so much more about Darwin’s history and most importantly – how many of these changes have affected our Aboriginal people – both in the past and in the present. I can’t thank the AICA’s enough for a great and meaningful excursion! 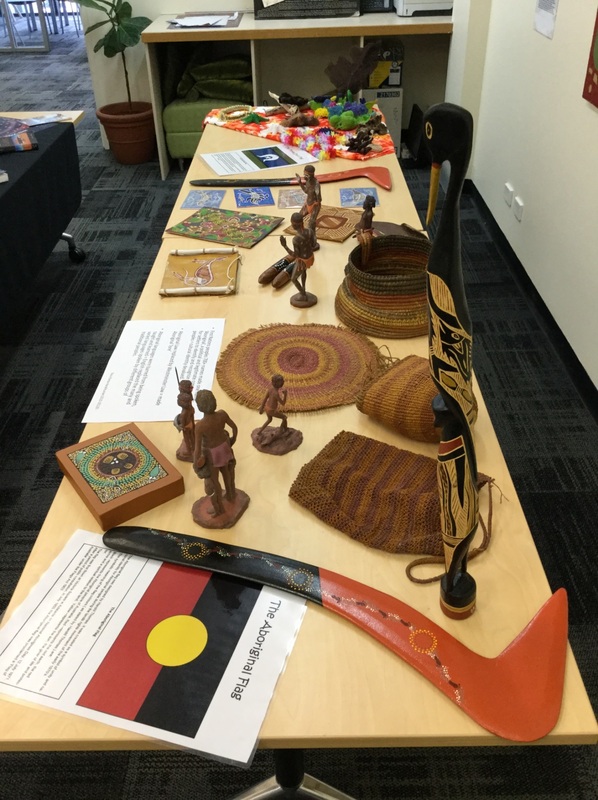 Thank you!’ – Janet Langley, Children’s Counsellor when asked for feedback on the cultural tour.